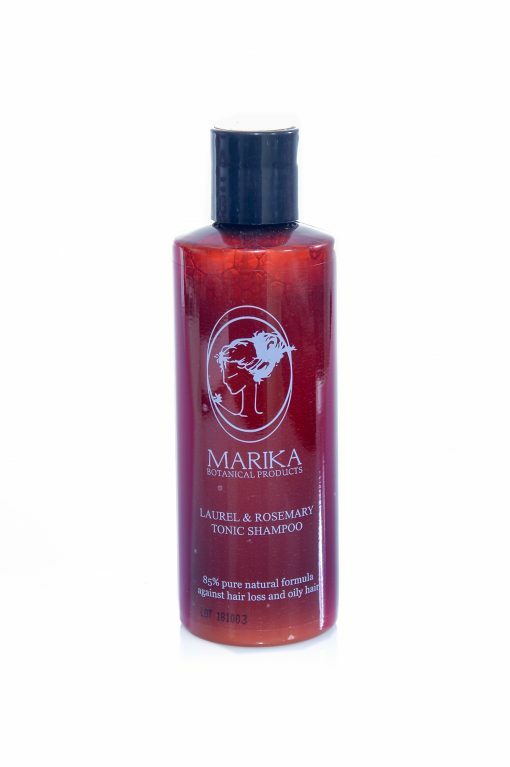 Tonic shampoo against hair loss with laurel oil and rosemary essential oil.It also contains castor oil, coconut oil, aloe and essential oils of peppermint and lemongrass. This combination of oils strengthens hair against hair loss while it helps to regulate sebum production and increases volume. This unique composition restores the health of the scalp and makes it ideal for all hair types, from oily hair to very dry and damaged hair, leaving them light and healthy.Suitable for men and women.